April was an infant when her teenage mother abandoned her and disappeared. With the sudden death of her father, seventeen year old April is devastated and feeling abandoned once more. With nobody left to take her in except her mother’s sister, a woman she has never met, April has no choice but to move to New Orleans, a city that she has never been to. After a cryptic conversation with her Aunt Kate about family secrets and lies, April is more lost than ever before. It’s Miles, a handsome tour guide, who brings April into the heart of the Big Easy. When his cemetery tour takes her to the tomb of Marie Laveau, April senses a spine tingling connection with the infamous 19th century Voodoo Queen. When a mysterious Voodoo shop owner suggests she can help April find peace amid the chaos, April must decide—is the woman crazy, or is the haunted city of New Orleans a place where the impossible comes true? After thirty-three years and seventy films (including Harry Potter, The Matrix trilogy and Batman, The Dark Knight), Sheila stepped away from the film business to complete her Young Adult novel. 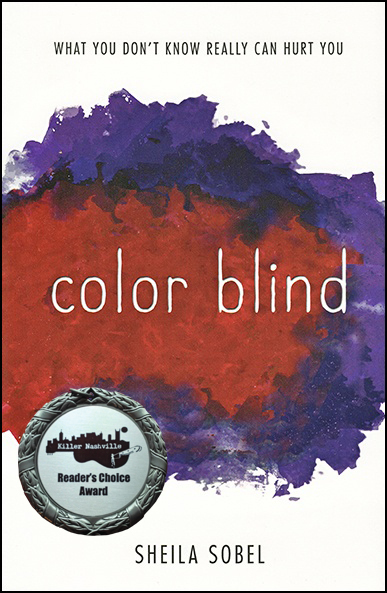 Her debut novel Color Blind won the 2017 Killer Nashville Reader’s Choice Award for Best Fiction YA and was a Finalist for the 2017 Silver Falchion Award for Best Fiction YA. Sheila was also nominated for the 2016 Allegra Johnson Prize in Novel Writing through UCLA Extension Writers’ Program. Sheila is a member of International Thriller Writers, Mystery Writers of America, Sisters in Crime, Society of Children’s Book Writers and Illustrators and Women in Film. She lives in Beverly Hills with her husband, two dogs and a cat. Check out where I’ll be…where I’ve been, and what people have been saying! Visit my news and events page for the latest book signings, reviews, and gallery posts. Available for school and book club visits within the Los Angeles area or anywhere by Skype. Please contact me directly in the form below.